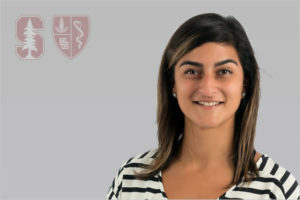 Sanam Rezazadeh MS, ATC returns home to San Jose, CA, from the University of Hawaii, Manoa to join the Stanford Athletic Training staff as a member of the Advanced Athletic Training Fellowship program. She recently completed her Masters’ degree in Athletic Training at the University of Hawaii, Manoa, where she also received her undergraduate degree in Kinesiology and Rehabilitation Science. Having worked primarily football the past three years at the University of Hawaii, Manoa, she is eager to gain different and new experiences in fencing and beach volleyball. Sanam recently served on the Far West Student Leadership Committee and has been one of the lead volunteers for the Far West Athletic Trainers Association Annual Meeting for the past two years. She hopes to continue her work at the district level and get involved at the state level.